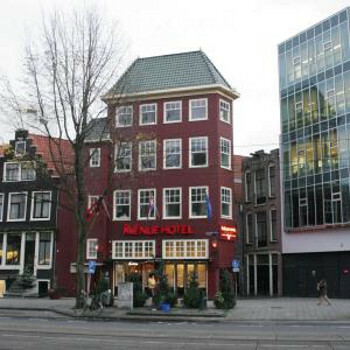 The 3 star Avenue Hotel is just 300m from Amsterdam central train station in the heart of the centre. The hotel features complimentary WiFi throughout, 24 hour reception and free buffet breakfast as standard. We stayed at this hotel for two nights. We didn't arrive until late evening and our check in was prompt and efficient. The room was small but totally adequate for our needs and it was also spotlessly clean. The bathroom was compact with a shower and no bath and the drain for the shower was in the floor so when you had showered, the bathroom floor remained wet, not great if you walked back in there in your socks!! The rooms don't have tea/coffee making facilities but they do have a coffee machine in the reception area. The hotel also had a well stocked bar which was open from 5pm to midnight and the girl who served the drinks was lovely and very friendly as were all of the hotel staff that we met during our stay. Breakfast in the hotel was great, there was plenty to choose from.You had a choice of cold meats & cheese, fried breakfast, rolls with butter & jam or croissants & cakes, plus coffee, tea, fruit juices and milk.On the last morning, we didn't go down for breakfast until 5 minutes before it finished and there was still good availability. Our flights home weren't until the evening and checkout was noon. The hotel has a secure luggage room that you can leave you case for as long as you want,(we didn't collect ours until 7pm). I would definitely stay at this hotel again and would highly recommend it.